Afghan Taliban which has launched some major attacks in Afghanistan Captain Kabul in last few months has targeted Peace Jirga this time in heart of Kabul with Rockets. In the Peace Jirga Indian Ambassador to Afghanistan Jabnaat and Afghan President Hamid Karzai where also present which where saved very luckily. Three Suicide Bombers where also present at the spot who Exploded themselves with the Rocket attacks. 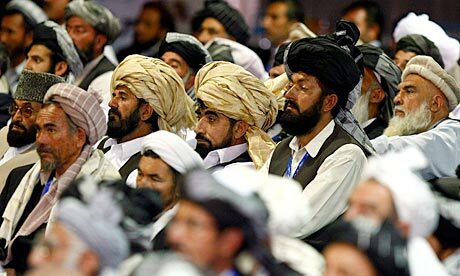 More than 1600 People where present at in the Peace Jirga. After listening the voice of attacks Hamid Karzai said there is no need to worry and we keep on listening such thing before as well but he ran away from there in few minutes. Afghan Taliban has took the responsibility of this attack.